A method for making elastic high-capacity batteries from wood pulp was unveiled by researchers in Sweden and the US. 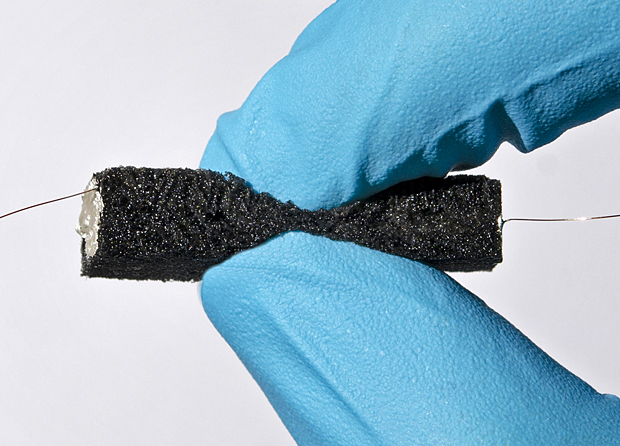 Using nanocellulose broken down from tree fibers, a team from KTH Royal Institute of Technology and Stanford University produced an elastic, foam-like battery material that can withstand shock and stress. “It is possible to make incredible materials from trees and cellulose,” says Max Hamedi, researcher at KTH and Harvard University. One benefit of the new wood-based aerogel material is that it can be used for three-dimensional structures. The process for creating the material begins with breaking down tree fibers, making them roughly one million times thinner. The nanocellulose is dissolved, frozen and then freeze-dried so that the moisture evaporates without passing through a liquid state. Then the material goes through a process in which the molecules are stabilized so that the material does not collapse. In terms of surface area, Hamedi compares the material to a pair of human lungs, which if unfurled could be spread over a football field. Similarly, a single cubic decimeter of the battery material would cover most of a football pitch, he says. Hamedi says the aerogel batteries could be used in electric car bodies, as well as in clothing, providing the garment has a lining. 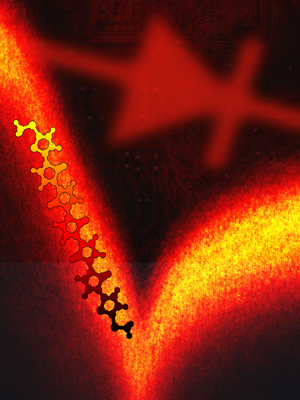 Columbia University researchers designed a new technique to create a single-molecule diode, and, in doing so, they have developed molecular diodes that perform 50 times better than all prior designs. In order to overcome the issues associated with asymmetric molecular design, the team focused on developing an asymmetry in the environment around the molecular junction by surrounding the active molecule with an ionic solution and used gold metal electrodes of different sizes to contact the molecule. Because this new technique is so easily implemented, it can be applied to all nanoscale devices of all types, including those that are made with graphene electrodes.